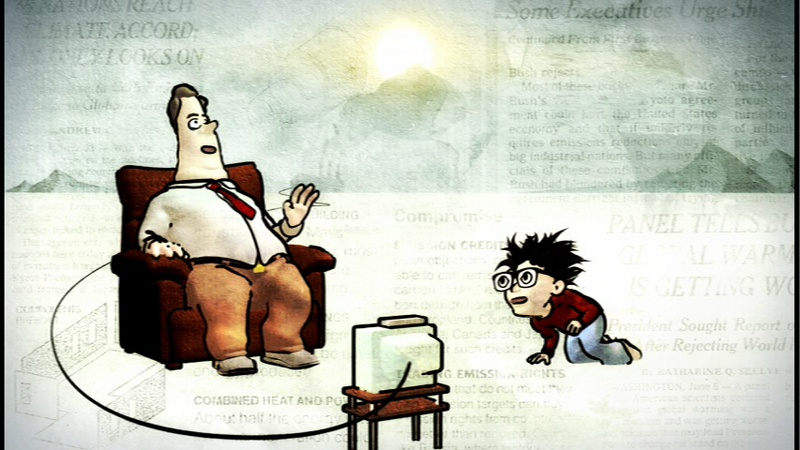 JUST IN CASE is a short animated film about the dangers of laziness. 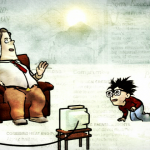 The consequences of a sedentary philosophy are depicted in vivid colors. Even if we cannot prove that global destruction is around the corner, we might as well do our best to prevent it, just in case. JUST IN CASE was created using 3D animation collaged with guache paintings and pages from the New York Times. The voices for the characters are deftly provided by Sutton Foster and Fred Applegate, stars of the Broadway musical YOUNG FRANKENSTEIN. Just In Case from Joshua Frankel on Vimeo.